Former home of Sir Peter Scott, and the base for the original small wildlife reserve prior to the development of the larger one at Slimbridge. The East Lighthouse is a lighthouse at Sutton Bridge. It was built, along with its twin on the west bank of the River Nene, in 1831 to commemorate the opening of the Nene outfall cut. These were never functioning lighthouses and were merely markers to guide ships into the cut. 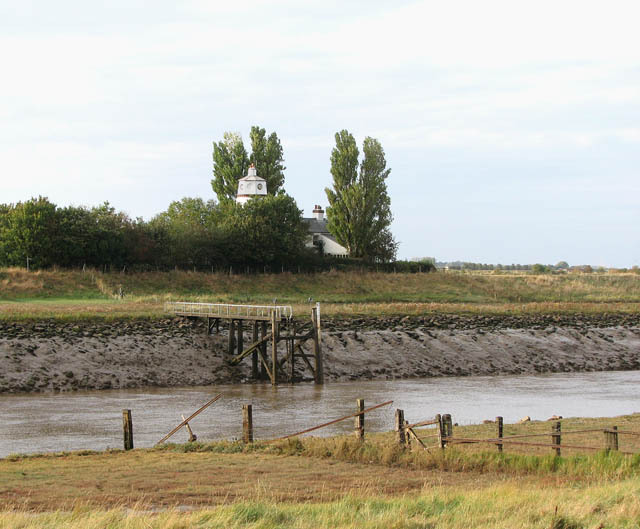 Before the Second World War, the East Lighthouse was inhabited by the naturalist and artist Sir Peter Scott who bought a large area of the Ouse Washes and established a nature reserve of what is now the Wildfowl and Wetlands Trust. Whilst there, he spent much of his time painting the geese that flew in from the adjoining marshland. The small nature reserve for wildfowl which he set up here was the predecessor to a much larger one at Slimbridge in Gloucestershire. 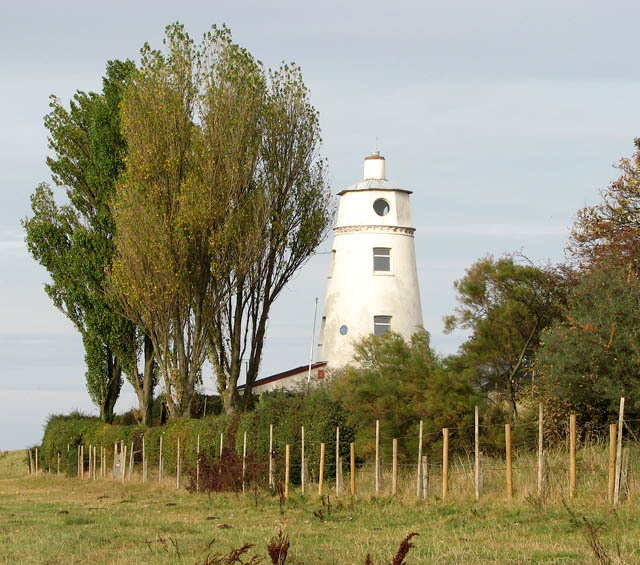 The lighthouse has since been used by the Fenland Wildfowlers Association. Both the lighthouses are private houses now. The West Lighthouse was built in 1881, as was his twin on the other side of the river - the East lighthouse. 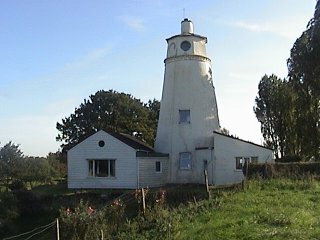 The building was never used as a functioning lighthouse but rather a landmark for ships entering the River Nene from the sea. 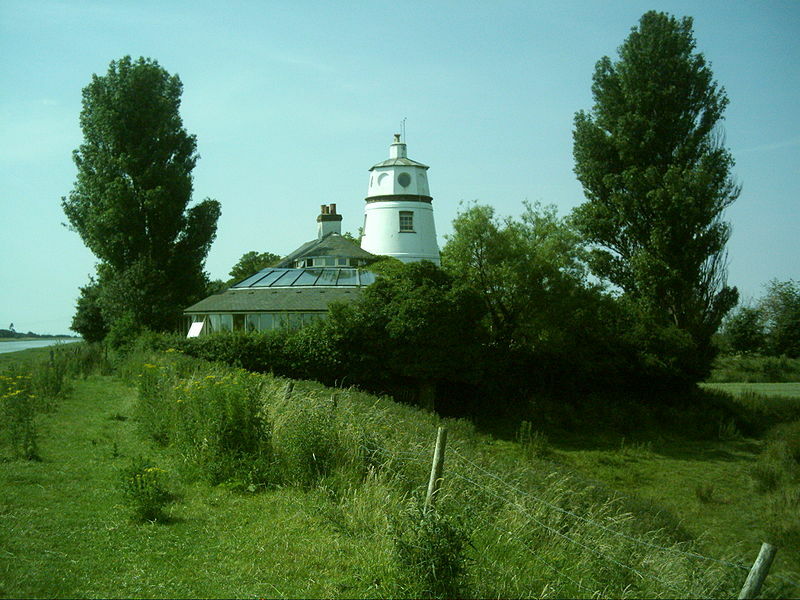 West lighthouse is a private dwelling. The jetty below is for HM Customs. The two lighthouses are very similar if not identical. never functioning lighthouses, more markers.